Rosemary Feenan joined QuadReal as Executive Vice President, Research in May 2018. She will focus on strategic research and analysis in support of QuadReal’s international investment objectives. She was formerly Director of Global Research Programmes at JLL, concentrating on urbanisation, changes in city competitiveness and the impact of technological advances on real estate. 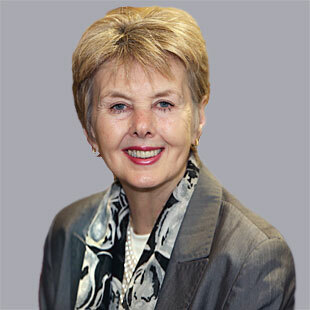 She previously held a Board position at Chesterton International and a senior position at CACI Limited. In her early career she worked as a town planner and as a retail analyst. A frequent speaker at international conferences, Rosemary is also a Trustee of ULI and of the Centre for Cities and sits on the World Economic Forum’s ‘Future of Cities and Urbanisation’ Council. She has also served on a number of international advisory councils regarding urban and real estate futures. Rosemary holds a Master’s in Environmental Planning from Nottingham University. She is excited to join QuadReal to contribute to its commitment to real estate innovation and providing communities of value to all.